Come on a boating adventure at Martinez Lake boat rentals, PWC personal rentals, sea doo rental, waverunner rentals, and jet ski rentals. Lake Martinez is a small to medium sized lake 30 miles from Yuma Arizona that lies along the Colorado River offering a haven for birders and fisherman alike. Try Arizona Boat Charter with the best tournament wakeboard boats on the market. Wakeboard lessons are offered on out guided tours, with water ski lessons, wake surf lessons, and other water sport activities. Lake Martinez balmy temperatures and myriad of safe-havens for bass and other fish make Martinez Lake great for fishing. Many people choose to explore the area by paddle or pontoon boat. Martinez Lake is a lake in the southwestern corner of the United State of Arizona, just north of Yuma Arizona on the Lower Colorado River. Martinez lake area is about 300 to 500 acres, depending upon where its boundary with the Colorado River is to be. 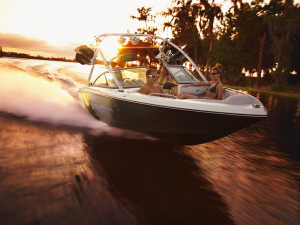 Enjoy the waters of Lake Martinez with power speed boat rentals, with all your favorite water toy rentals.